This week has been one of those crazy weeks, with a blogging conference at the weekend, a date day, and lots of changes going on with the children's schools and nursery. I can't believe it's the weekend again already, as I feel like I just wrote last week's Happy Days post! Going to Britmums Live for the first time ever. For those of you who aren't bloggers, BML is a blogging conference in London. I traveled there and back with a very pregnant Katy and got to meet loads of amazing bloggers. It's strange because I feel like I've known these people for years already, yet apart from a handful most of them I've never met before. I'm not planning to write a full on post about the event, but I will be writing about some of the brilliant people I met so keep your eyes peeled for that one. Having a date day. We went to Moggerhanger Park for afternoon tea, but we've actually rescheduled for this weekend as I forgot to mention that I'm vegan so that threw them a bit of a curveball. Ian and I still enjoyed some tea and time together, and I can't wait to see what they'll come up with when we return this weekend. Poppies! 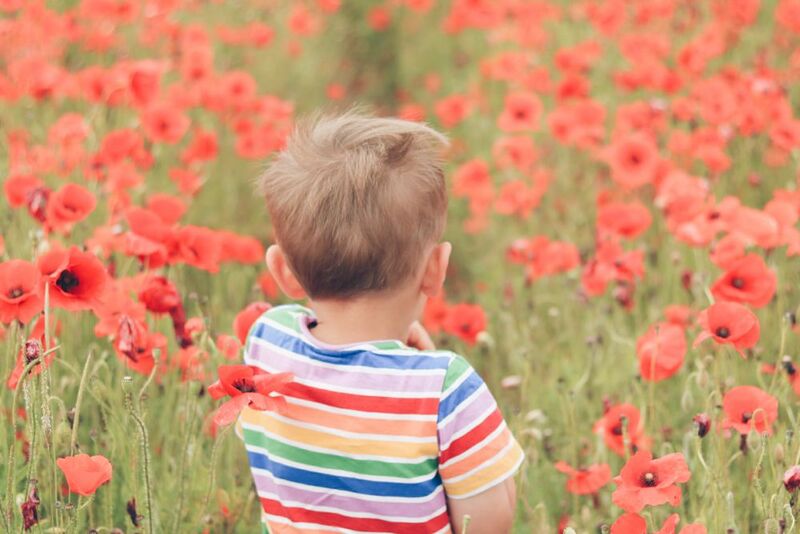 Kasia, the photographer I met up with last week, had shown me a spectacular poppy field near my house, so I went back with the boys and to say I'm pleased with the photos is an understatement. I've had some incredibly amazing feedback from people, it's given me a real boost of confidence when it comes to my photography skills. And I've been inundated with messages from people wanting to know where the poppies are! Finding out more about Little N's nursery school. I don't think I have mentioned this before on the blog, but Little N wasn't offered a nursery school place in April when the allocations were done. We thought he would get into the one at the school a minute from our house - but he didn't. So then we had to go on waiting lists for all the other nursery schools. He eventually got offered a place at two other nurseries, but I hadn't visited either of them, so when we picked one we were accepting blindly. On Tuesday we had the new intake meeting and now I am feeling very reassured that we have chosen the right one. Phew! Holding a tiny frog. I mean, tiny. I was planting lavender in the front garden when something jumped past my hand. It was a tiny frog, less than an inch long. I picked it up and took it through the house and into the back garden where our pond is. It was so cute! Little N smiling in his sleep when I checked on the boys on my way to bed last night. Precious moments like these are what motherhood is all about. This weekend we are taking the boys to a birthday party - yes another one, mini socialites that they are! And heading back to Moggerhanger Park for afternoon tea. What are your plans? Brit Mums sounds amazing - seriously thinking about plucking up the courage to go next year! I adore your poppy field shots, they're just stunning. That's great that you feel reassured by your nursery visit too - that must have been pretty stressful!